Stirchley Thought Exchange … In A Gazebo! 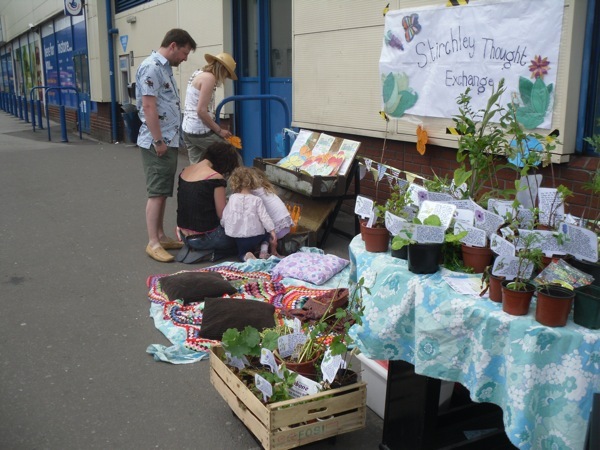 Stirchley Thought Exchange will be making its second public appearance at the next Stirchley Community Market on Tuesday 24th August 4 – 8pm, after its first event outside the local Coop back in June 2010. The Thought Exchange is a community environmental art project, run by local artist Roxie Collins. The project creatively gathers people’s opinions on Stirchley, and through reflecting on surrounding landscapes and regeneration, attempts to bring people, plants and places closer together. You will be invited to contribute to the garden of thoughts… in exchange for your thoughts about the local area, you will be rewarded with a plant that has been rescued from a derelict part of Stirchley (and its story) or an insect house made from Stirchley plant stems/other locally sourced materials, both for your garden. Previous participant’s views on life in our area will be exhibited, as well as a mini wild-flower box garden. In addition there will be commemorative badges available to mark the Thought Exchange’s presence at the market. 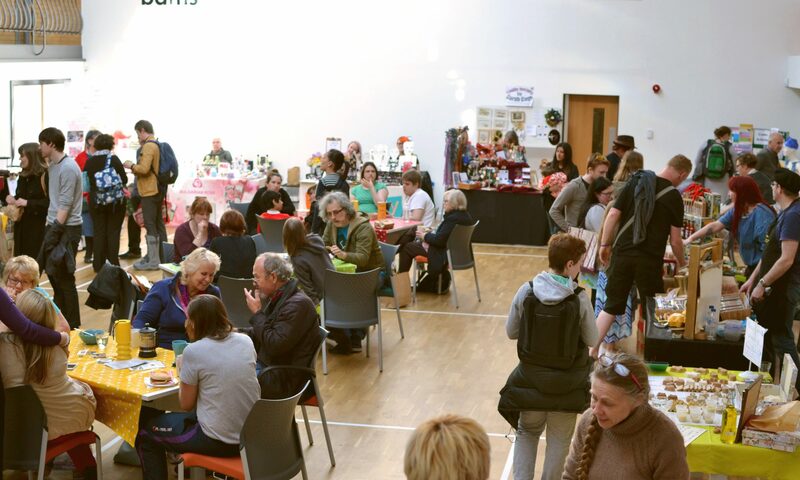 For more information on the Stirchley Thought Exchange please visit http://stirchleythoughtexchange.blogspot.com. Hope to see you there tomorrow. Fingers crossed for good weather!